High blood pressure affects more than one in four adults in the UK, but the problem many people with the condition face is symptoms are rarely noticeable. One of the risk factors of the condition is a diet high in salt, so making simple changes to what you eat can make a significant difference. The NHS recommends cutting down on the amount of salt in your food and eating plenty of fruit and vegetables. Studies have also proven certain foods and drinks to be effective at lowering blood pressure. One of these is coconut water – a popular drink in the Caribbean which is now available on the UK high street. Experts have found lowering blood pressure can be achieved through an increased potassium intake, and coconut water is a great source of this mineral. Blood Pressure UK explains: “[Potassium] helps to lower blood pressure by balancing out the negative effects of salt. “Eating salt raises the amount of sodium in your bloodstream and wrecks the delicate balance, reducing the ability of your kidneys to remove the water. By eating more fruit and vegetables, you will increase your potassium levels and help to restore the delicate balance. University Health News states coconut water may contain ore than 600mg of potassium per serving, “an amount higher than one serving of just about any other food or beverage”. A small human trial looked at the effects of coconut water to plain bottled water and another tropical drink called maybe in 29 patients with high blood pressure. Participants were given either bottled drinking water, coconut water, mauby or a mixture of coconut water and mauby for two weeks. Blood pressure readings were then taken two weeks before and during the two-week trial. 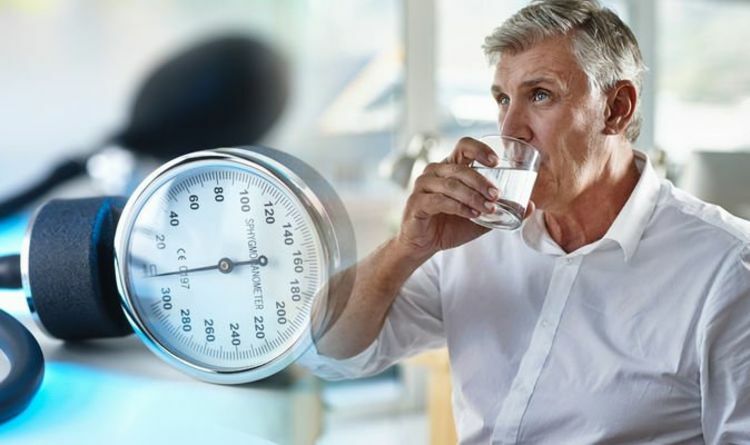 Significant decreases in the mean systolic blood pressure were observed for 71 per cent of patients receiving the coconut water, 40 per cent of the patients receiving mauby, and 43 per cent of those who received the combination. However the researchers did agree more randomised trials would need to be carried out on this. When it comes to what cooking oil is best for high blood pressure, evidence has shown olive oil to be best. A study published in Clinical Nutrition looked at the effects on blood pressure of extra virgin oil on elderly patients who were medically treated for high blood pressure. Some of the elderly patients with the condition took extra virgin olive oil, while others took sunflower oil. After four weeks, results showed extra virgin olive oil reduced blood pressure more than sunflower oil did.